Members of the House Select Committee on Benghazi peppered Hillary Clinton with questions for about 11 hours on Oct. 22, 2015. As expected, Clinton’s use of a private email account and server was a topic of discussion. At one point, Rep. Lynn Westmoreland, R-Ga., pressed Clinton on whether she had told State Department officials about emails on her private server. Westmoreland: If they were gathering emails, you had to tell them that you had a private server when you were there. Clinton: Well, the — the server is not the point, it’s the account. And I made it a practice to send emails that were work-related to people on their government accounts. In fact, you know, Secretary Kerry is the first secretary of state to rely primarily on a government account. This is not the first time that Clinton, her staff or her supporters have talked about how other secretaries of state have used email. Of course, the historical comparison can’t go back very far because the country hasn’t had many secretaries since the advent of email. In fact, beyond Clinton herself — and Kerry, who has to abide by a requirement to use departmental email — we only have three secretaries of state to consider. They are Condoleezza Rice, Colin Powell and Madeleine Albright. Of those, Powell is the only one who used email very much at all. According to MSNBC, an aide for Albright said she “did not use email while she was in office” from 1997 to 2001. Powell, on the other hand, took it as his personal mission to get the entire department on email. In his book It Worked for Me, Powell tells how he got Congress to pay for 44,000 new computers and put an Internet-connected machine on every desk in every embassy and every office in the department. An aide to Powell confirmed his use of this personal email account in a statement to Politico. So, Powell was on email, but it was through a private, not government email account. 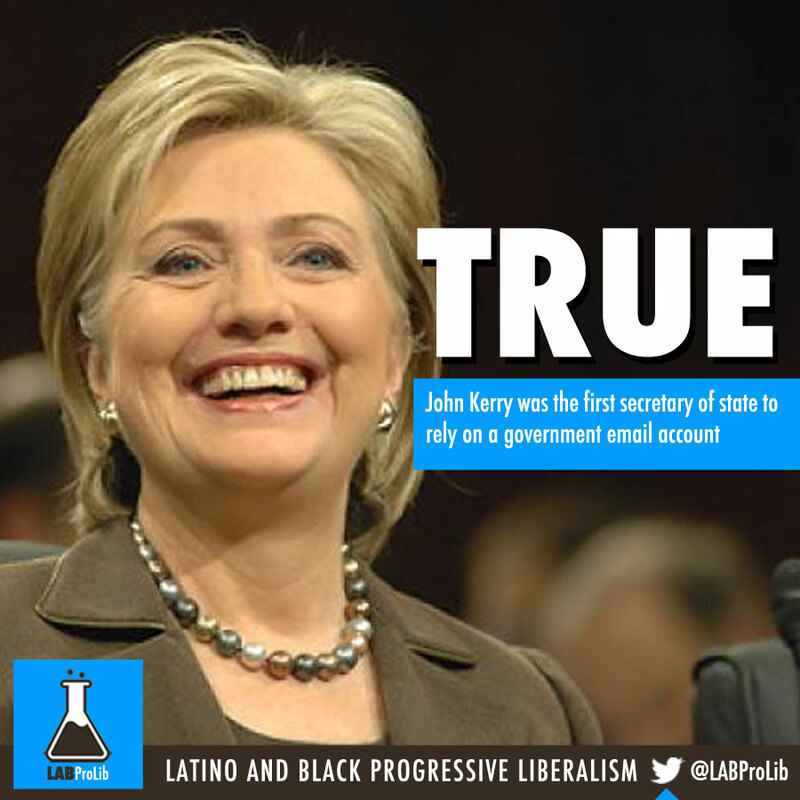 Clinton said Kerry was the first secretary to rely mainly on a government email account. This statement is accurate, but it glosses over a bit of context — that only one secretary before Clinton herself, Colin Powell, used email much at all while secretary of state. This undercuts the implication of Clinton’s claim, that there was a tradition of sorts of secretaries of state using private email accounts. It was a tradition of one. We rate the claim Mostly True.